In the 13th Century Fazakerley was one of the Walton town fields. It was a rural area dotted with farms and large houses until it began to industrialise in the 19th and 20th centuries.. Origin of the Name: Fazakerly, 1321; Phesacrelegh, 1333 (VCH Lancs, III). The name comes from the Anglo-Saxon words faes – on the border or fringe – aecer -field – and lea, or lei – a clearing in a wood. From the Victoria Country History: Fazakerley is separated from Walton by the Fazakerley, or Tue Brook. It is separated from West Derby by the Sugar Brook, up to where it is spanned by the Stone Bridge. The lowest point in the landscape is where these two brooks join, on the border with Kirkby. The landscape at the turn of the 20th Century was flat and featureless. Fazakerley began life as a town field of Walton, which probably led to it’s name (from the Anglo-Saxon meaning the border field with the clearing in a wood). The boundary of the township was party formed by the Tue Brook (after which an area of Liverpool further south is named), and Fazakerley Brook. Walton lies to the west, and the old boundary of the Walton Hall Estate also forms part of Fazakerley’s boundary. The Fazakerley family were the main landowners in the area, and took their name from the township. They sold a lot of their land to the Liverpool Corporation when the city needed new land for development. Fazakerley Street near Old Hall Street in Liverpool’s city centre is named for the former owners of the land that the road was built on. The Fazakerleys also owned Spellow House (on a site near the modern Spellow Lane). The home of the Fazakerley family, Fazakerley Hall, stood near Fazakerley Hall Lane, on Fazakerley Brook. Fazakerley House was a three storey farmhouse built in 1749. It stood at the end of a long drive which, after the redevelopment of the area, became Fazakerley Road. By the 20th century the house belonged to one Ms. Evered, a relation of the Fazakerley family by marriage, commemorated by Evered Avenue. These days Fazakerley is known for its modern hospital, but the roots of healthcare in the area go back a long way. One of Fazakerley’s characteristics is as the location for a series of healthcare institutions. This part of the township’s history started in 1889 with the opening of the Fazakerey Cottage Homes by the West Derby Workhouse Union. The intention was to create a place where orphans and children whose parents were unable to take care of them would gain an education and training (in such areas as carpentry, metalwork or grocering). They would also benefit from on-site health care from resident doctors. 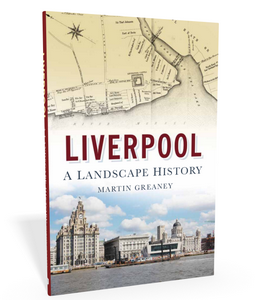 Money for the institution came from the sale of Union-owed land to the Liverpool and Yorksire Railway. The company wanted to open up a tunnel which ran under Fazakerley into a cutting. Along with other Workhouse Union buildings, the Cottage Homes became a hospital with the formation of the NHS in 1948. In 1898, the Liverpool Corporation bought the Harbreck House Estate for one of a series of new hospitals. This one was to be called City Hospital North, and opened in three phases. The first was a set of wooden buildings on the fields of the former Harbreck Farm of Higher Lane (in 1901). The second was brick-built, and opened in 1906 near to the first set of buildings. In 1913 the third phase began on Sparrowhall Farm land. This was known commonly as the ‘Sparrowhall Hospital’, though its official name was the Infection Diseases Hospital. In 1914, with the outbreak of the First World War, the hospital complex was taken over by the military to treat sick and injured soldiers. In this guise it was known as the 1st Western Military Hospital, and remained in the hands of the armed forces until the end of the conflict. The familiar tower block section of the hospital was completed in the 1960s, forming the bulk of the familiar hospital landscape of today. Later additions were built in the end decades of the 20th century and the beginning of the 21st. The first school in Fazakerley stood on Higher Lane, near to Dyson Hall. It was established in 1725 as a gift from Samuel Turner, who also donated £100 to pay the teacher’s wages. The old school building stood on the site until 1890 when a larger building was erected with space for almost 150 children. However, the school closed in the early 20th century, with the Local Education Board deeming it too close to the nearby Infectious Diseases Hospital. A second school, the Fazakerley Open Air School, opened in 1938 with responsibility for educating children with diseases like TB and asthma. It was built along ‘open air’ lines, which would help the children deal with their conditions, and was affiliated with Margaret Beavan School and Underleigh School, two other open air institutions. The open air schools (there were 96 in Britain by 1937) had classrooms where the walls could be opened up on up to three sides – summer and winter! The theory was that ventilation and fresh air were beneficial to health, and helped prevent the spread of tuberculosis. The disease was becoming a problem in the years running up to the Second World War. The schools were, naturally, located in rural areas, of which Fazakerley was one at the time. Fazakerley Open Air School closed in 1994. Numbers were falling as the children were incorporated into mainstream schooling. Liverpool needed new industrial investment in the 1920s and 1930s. Following the Wall Street Crash of 1929 the world was suffering the Great Depression, and the city’s Victorian heyday was slipping into history. 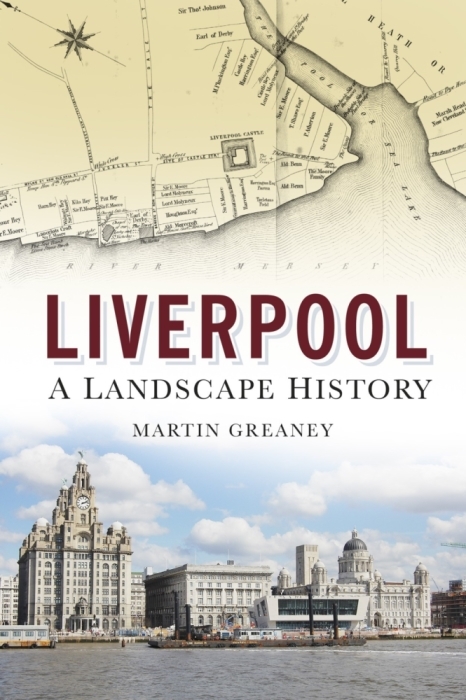 Between 1925 and 1928 Liverpool Corporation acquired 300 acres at Long Lane, as well as land at Speke in the south of the city. Leases were offered in the hope that modern industries would settle there, and the Corporation spurred development by laying out the roads and infrastructure in the area, and planning new housing estates around Fazakerley. The housing would become home to those displaced from demolished slums, and provide a work force for the new factories. In 1941 the estate was another of the armed forces’ acquisitions, and became a Royal Ordnance Factory (ROF) producing small arms for the war effort. The ROF finally ceased production in 1960 as the area transformed into the Aintree Industrial Estate. One of the most important pieces of ‘architecture’ in Fazakerley is the model village constructed off Long Lane. Built by W.P. Hartley in 1886, it appeared two years after moving his jam works from Bootle. There were just under 70 houses, making the village smaller than other villages like Port Sunlight on the Wirral and Saltaire in Bradford. But like those other places, their patrons built housing of much better quality than was otherwise available to their workers. The Hartley’s Jam Works was one of the earliest industrial presences in the area, making good use of the transport links. The factory had it’s own rail lines linking up to both the Liverpool & Yorkshire Railway and Cheshire Lines Railway. At the time of its relocation, much of Fazakerley and Aintree were still rural, but the buildings largely remain today. The village is a Conservation area, and so protected from unsympathetic development. While the whole of Long Lane has taken on the characteristics of a major industrial and commercial centre. The Littlewoods company was a key player in Fazakerley’s industrial and commercial development. The headquarters were located on Walton Hall Avenue, and remained an important centre even after the building of the large offices on Edge Lane. The building was also turned over to the war effort, manufacturing aeroplane parts for the Royal Air Force. The Edge Lane building was given over to munitions, like the Royal Ordnance Factory. As well as the Littlewoods HQ, Fazakerley is home to some other interesting industrial buildings. The Rockliff-Cox printers occupied a characteristically 1930s building on the Industrial Estate, and the Schweppes factory was another example of this style. Many of the buildings still visible on Long Lane today display the Art Deco influence. They have pale brown brick fronts and small-paned white-framed windows in rows near the roof. This is a legacy from Fazakerley’s early 20th century industrial heritage. The first railway in the area was operated by the Liverpool & Bury Railway Company. It later incorporated into the Liverpool & Yorkshire Railway, and it carried both cargo and passengers. The line was so successful that congestion was a growing problem before the end of the 19th century. So Aintree Marshalling Yard was laid out, with additional sidings in Fazakerley, in 1885. Further sidings were built at Fazakerley in 1911, the traffic never slowing its increase. It’s perhaps unsurprising therefore that the Railway Signal Company chose Fazakerley as the location for its factory in 1881. This important company continued to produce equipment for railways across Britain until the 1960s. By then the technology had changed and the company was wound up. Fazakerley was served by the Liverpool-wide tram system from the late 19th century. An innovation on this line was the introduction of a trial First Class service. A similar trial had taken place on the route between Garston and the Pier Head. Complaints claimed that some working class passengers put off their wealthier ‘betters’ with their mucky clothes and spitting habits! The trams travelled from the Cottage Homes in Fazakerley to the Pier Head in the town centre. They also travelled via Dale Street in an attempt to entice the businessmen who worked in the offices there. One of the major limitations put on the tram system was the existence of much older bridges over the railways. The train companies built these bridges without trams in mind, so were much too narrow to allow trams and road traffic to pass each other easily. Bottlenecks developed, especially when dual carriageways and central reservations kept things moving smoothly in other parts of the city. A particularly bad spot was the bridge over the railway on the brand new East Lancashire Road. Here an inventive arrangement of snaking tram tracks and a side (not central) reservation worked until 1930. In that year, Pearson & Knowles of Warrington erected a new wider and stronger girder bridge to better deal with the increases in traffic. Today the landscape of Fazakerley reflects the roles it took on in the 19th and 20th centuries. Gone are the Halls and Farms which dotted the countryside. A web of railways, vast industrial estates and retail parks has replaced them. There is also new housing, built for those moving out of the town centre between and after the World Wars. Fazakerley represents Modern Liverpool, and the attempts to rejuvenate its flagging economy once the British Empire began to fade. Croft Lane looks from the maps to have been laid out gradually from about 1908 until the 1920s, and was on the edge of the built-up areas of Liverpool until much later. The houses at the west end of the street, which I think you’re interested in, were there before the road itself, and were/are called Clifton Villas, and what’s now the car park of the Grey Chaser used to be a bowling green. By 1928 all the buildings seem to have been in place, with the rest of Fazakerley building up around it. for an accurate sequence of events reference the ownership of the railways in Fazakerley. I have lived within a few minutes walk of the sorting sidings site all my life. That’s an excellent resource, thanks for pointing it out, Alan. I’ll look into it and hope to incorporate the extra detail in a future update of this page. There’s plenty on that site for the Industrial Revolution fan! I used to live in a somewhat confusing location as to place names in North Liverpool. The road I was brought up in was Cornett Road off Longmoor Lane in Fazakerley however the other end of this road junctioned with Hall Lane in Walton. Aintree of course is about three quarters of a mile away along the A59 to the north. I’ve often found north Liverpool areas confusing too! My nan lived in Orrell Park, which was also Walton (and then I found there’s an Orrell outside Liverpool…). And I think someone commented on here that the boundaries seem to have been moved by the Powers That Be! I doing some research on behalf of a friend who completed part of his National Service at RAF Fazakerley. I would like to get hold of some documentary and/or photographic history of the site but haven’t come across anything substantial yet. I’ve had a look at the Balloon Barrage Reunion Club Website and also the official RAF/MOD site but these only have scant details, e.g. the resident units and the dates it opened and closed. Does anyone know where I could get a bit more in-depth information (particularly photographs) about the site? Any help would be most appreciated. Am tracing the history of my Grandfather- believed to work on Cheshire Line Committee railway around Aintree. He was killed in a railway accident on May 21 1927. Is there any record of this accident? My father used to have an allotment in Fazakerely back in the 50’s and 60”s we went there all the time as kids, Does anyone know when houses were built there, I think it was off Copplehouse Lane. There are allotments marked on the old maps on the north west corner of the junction between Aintree Lane and Long Moor Lane (the A506). This is still largely open land, except for Haven Road. The houses here first appear on the map of 1966-73. However, there were always a handful of buildings on this site, and the allotments never spread this far west. If I’ve got the wrong allotments, let me know and I’ll have another look! Martin: thank you for your research and kind help. Would you happen to know the precise location of the Royal Ordinance Factory at Fazakerley? My research leads me to believe that the original building has been demolished and, I assume, built over with something “less significant”, probably in the Industrial estate. I was born in Litherland but now live in the USA and am planning a visit next week. Thanks for your help. Sorry that I couldn’t get back to you before your trip to Liverpool, but there is a lot of detailed information, including location, of Kirkby Ordnance Factory here: http://www.disused-stations.org.uk/k/kirkby_royal_ordnance_factory/. I’ve got to confess that I’m not sure if this is the same as the Fazakerley one, as it’s not that far away. If I come up with any more certain information I will let you know. That’s a really interesting find! The site of Mersey Flooring looks like it was a timber yard in 1956, and allotments before the War. The maps have a bit of a gap in between, so there may be a use that we’re missing, related to the war (and hence not mapped for security reasons). Could this be a work-related incident? If so the best course of action would be to contact the National Archives (http://discovery.nationalarchives.gov.uk/details/r/C1083), as they have all the records related to ROFs. It might be something that was only dealt with as an internal affair. That’s great info – thanks for sharing! Sounds like they went to great lengths to keep production at its maximum. Not surprising really! Hi it was on the site of what is now called the Liver Industrial estate. My old lady worked at both Long Lane and Kirkby.the site became Lucas for years. Came across this site by accident. I am trying to find out some past history. Mrs Hudson.Higher Lane Fazakerley 1912. My mum lived in Hawthorns Cottage, Barlows Lane Fazakerley, around 1920/30’s. Her maiden name was Fazackerley. I have tried to find more info about this area/family name but dont get very far. Grateful if anyone can shed any light on it. I have done the family tree thing but only get so far & then no more. Everything I know about the area (that’s relevant to this website, at least!) is on this page already, but if you have any questions I’ll try to find out more. Thank you so much, will have a look on that website. I have no idea if there is a connection to the wealthy Fazakerleys, I assume not but who knows. Its interesting a Fazackerley being born in Fazakerley! lived in fazakerley in the early eighties.